A lot of people have started switching over from iPhone to Android recently because of the introduction of the amazing Samsung Note 9. However, switching from iPhone to Android has one major issue — transferring data. Most users complain that they don’t know how to perform an iPhone to Android transfer without losing important data. This issue also affects those who want to transfer data from Android to iPhone. The two phones simply do not interact very well. However, just because the process is difficult doesn’t mean it’s impossible. In this article, we’ll give you a detailed overview of how to perform an iPhone to Android transfer of data using Wondershare’s dr.fone technology. The most efficient and reliable method of performing an iPhone to Android transfer of data is to use a third-party tool called dr.fone – Switch. This is an application rolled out by one of the world’s finest technology enterprises Wondershare and it enjoys the support of millions of users around the world. As such it’s completely reliable and has some impressive features. dr.fone – Switch allows you to transfer contacts, photos, messages, and various other types of data from iPhone to Android (and vice versa) with the click of a single button. All you need is access to a computer and you can transfer all the data within minutes. Transfer contacts, photos, and messages from iPhone to Android (and vice versa). 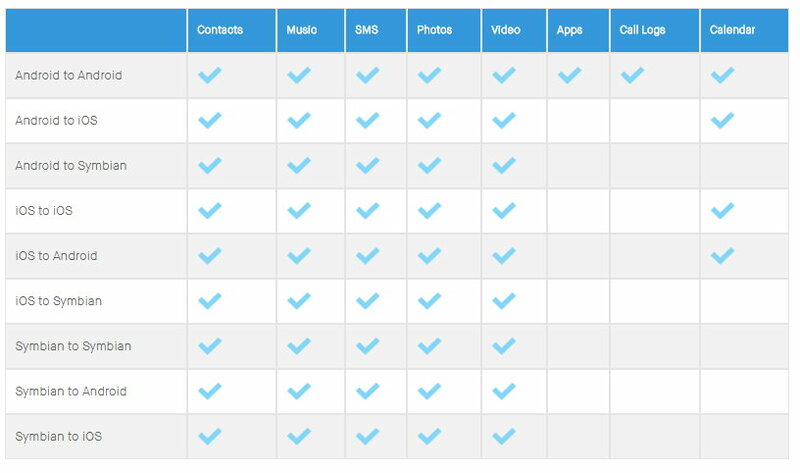 Transfer data from any iPhone model and to any other Android phones. Application is available for all Windows and Mac OS versions. The following is a detailed summary of the steps you need to successfully transfer contacts, photos, and messages from iPhone to Android. Download and install dr.fone application on your Mac or Windows computers. Connect your Android and iPhone to the computer using a separate data cable for each. dr.fone will immediately recognize the two devices. Click on the ‘Switch’ option from dr.fone’s main menu. In the next screen, select iPhone as the ‘Source’ and choose Android as the ‘Destination’. Use the ‘Flip’ button on top to interchange their positions if necessary. A pop-up screen will give you a detailed list of Android phone models. Choose the one which applies to you. You’ll receive a detailed guide on how to debug the relevant Android phone. Simply follow the steps exactly. Go back to the Switch screen. From the list of file types available, select ‘Contacts’, ‘Photos’, and ‘Messages’. A progress bar will track all the files being transferred from iPhone to Android. The files will get marked with a ‘Success’ message once the transfer is complete. One of the best aspects of using Wondershare dr.fone is that you can perform iPhone to Android transfer even if you don’t have both phones at the time. Some people sell their first phone first before buying the next. In that case, you can’t use the Switch option. However, you can use the “Backup & Recovery” feature to save your data on your computer, and later transfer them to your new Android phone. What can you do with the iPhone to Android Transfer Features? dr.fone – Switch allows you to transfer a number of different types of files from iPhone to Android, in addition to the contacts, photos, and messages. The following is a list of all the data you can transfer. Unfortunately, dr.fone – Switch is unable to transfer Apps or Call Logs to your Android phone. However, no tool on earth can do that because iPhones and Android phones use completely different types of apps, but you can transfer apps between the same OS, such as android to android. 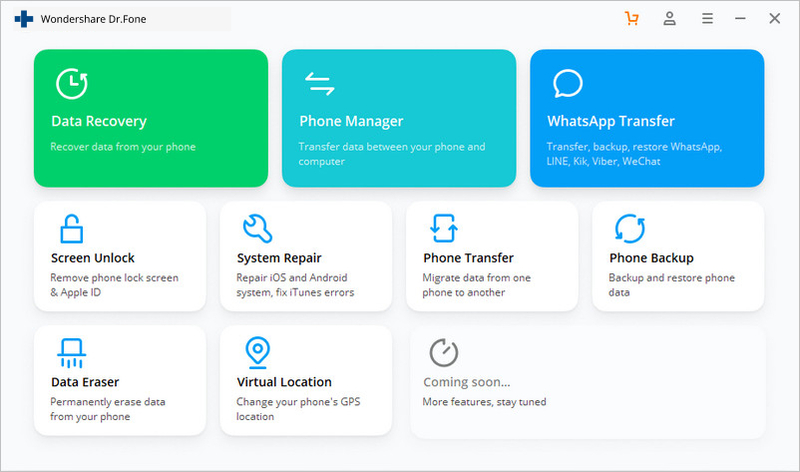 So now you have a thorough and comprehensive understanding of how to perform an iPhone to Android transfer to be able to migrate all your contacts, photos, and messages. You can now go ahead and change your phones without having to stress out. If you have any other questions about how to transfer data from iPhone to Android using Wondershare, feel free to mention them down in the comments section.